Mazis-Chambertin (9.10ha) lies at the northern end of the group of Grands Crus, closest to the village of Gevrey-Chambertin, and is divided into two parts of which Mazis-Haut sits on the same rock formation as Clos-de-Bèze, while Mazis-Bas is on slightly deeper soil with some influence from the Combe de Lavaux, both in terms of soil make-up and temperature. It is a predominantly brown soil with a few stones. The underlying rock is in the form of fissured slabs through which the roots are able to penetrate. Olivier Bernstein buys grapes from Les Mazis- Haut which are blended in with the production of his own vines in Mazis-Bas. The oldest vines are 80-years-old. Very pure, glowing purple colour. The nose shows such beautiful precision, it is almost electric. Arguably the most vibrant of the wines with an excellent fruit acid balance and exceptional persistence. It shows less of the puppy fat of the vintage but more sophistication. Absolutely magical on the palate with classical distinction and great persistence. Jasper Morris MW, Burgundy Wine Director The wines of Burgundy – perhaps more than any other region – are a product both of place but also of people. With individual vineyard plots often split amongst countless producers, the terroir expressed in a wine can be unusually specific; equally the style of the winemaker can be readily discerned when tasted against his neighbours. Back in 2007, Jasper Morris MW – Berry Bros. & Rudd’s Burgundy buyer, who lives in the region for most of the year – heard whispers about a new producer, whose wines were said to be universally impressive. Jasper duly sought out Olivier Bernstein and tasted his portfolio: “It was terrifically exciting to come across a brand-new quality producer in the Burgundy market, and to taste wines of such class from his very first vintage,” says Morris. 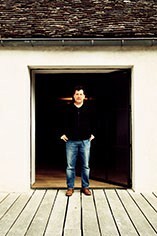 “Now, five years on, Olivier has matured into a confident player with his Premiers and Grands Crus wines of the Côte de Nuits.” Since Berry Bros. & Rudd first offered Bernstein’s wines with the 2007 vintage, Olivier’s reputation in the UK and worldwide markets has steadily grown. We are delighted that the 2012 vintage – unquestionably Bernstein’s most refined and well-composed offering to date – will be available to the UK market exclusively through Berry Bros. & Rudd. 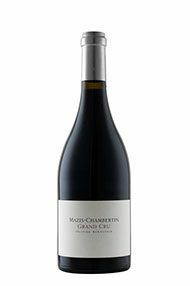 The Wine Advocate - The 2012 Mazis-Chambertin Grand Cru has a rounded, generous bouquet with dark berry fruit, undergrowth and touches of mushroom developing. The palate is medium-bodied with fine nervosite on the entry. There is a keen thread of acidity here with fine density towards the finish, much more so than the Charmes-Chambertin. Perhaps I am seeking a little more charm and personality once this is bottled but still, this is an excellent Mazis-Chambertin. 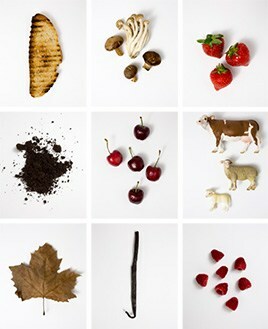 Burghound - A brooding and fresh nose displays notes of extract of plum, cassis, spice and plenty of sauvage character. There is a highly appealing intensity to the mineral-driven, muscular and mouth coating big-bodied flavors that possess excellent length where the tannins are perfectly integrated on the dusty, serious and mildly austere finish. Patience required. Jancis - About 70% whole bunch. Their own vines – 1,800 sq m. Very complex and alluring. Really liqueur-like and compelling with a lovely rich undertow. Fluid and gorgeous. For Bernstein, Mazi is always under-estimated.